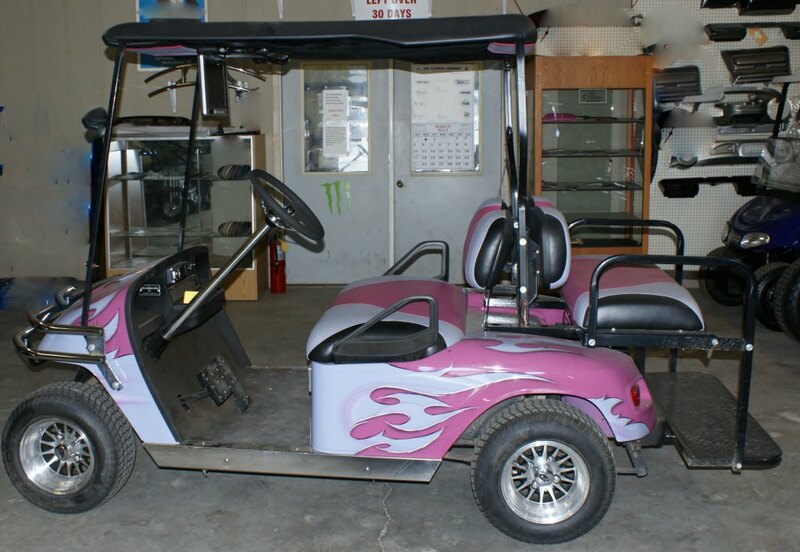 Custom $3,895.002002 EZGO Electric PDS Custom Golf Car. Has 2012 Batteries. Custom Paint, Seats, Headliner. 2&1 Flip Rear Seat. Radio*DVD* Stainless Steel Steering Wheel Column Cover, Custom Steering Wheel & hub. Dash. Lots of extras!